There’s no need for me to bore you with stats about video content consuming the Web, expedited by Facebook planning a video-first future and Fortune 500 companies confirming video marketing delivers higher returns than display ads. The medium of moving pictures can’t fail to catch the eye, and as 4G connections become increasingly widespread – with 5G capabilities on the horizon – growing numbers are pressing play on their mobile devices. As a result, brands are already investing in innovative video marketing strategies, with great success, but now we’re on the cusp of an incredible eCommerce boom, as ‘shoppable’ video content becomes more prominent. A relative newcomer to the gargantuan glossary of marketing terms, ‘shoppable’ ultimately means embedding clickable links into video content, making the buyer journey quick, easy and interactive. These links can either direct users to specific landing pages for products as they appear on screen, or directly integrate with shopping baskets. Proving ROI has always been the acid test for marketers, but as ‘shoppable’ content takes force, retailers can show a direct impact on the bottom line. 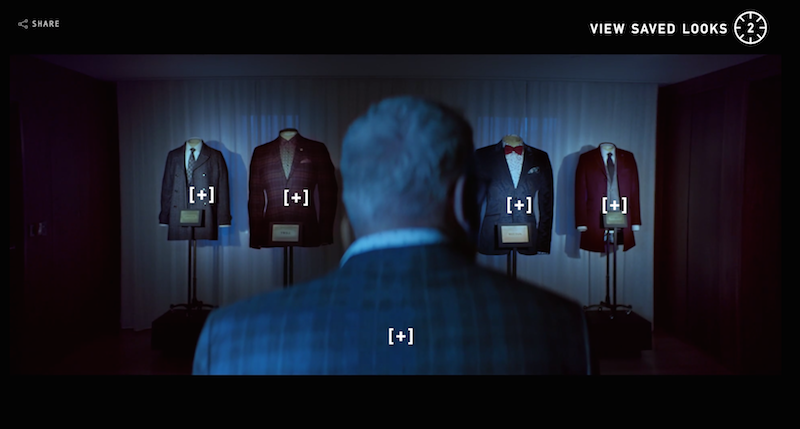 Ted Baker, for example, has been highly praised for its contemporary video marketing strategy, inviting viewers to reserve items as films play. Clicking the icons allowed audiences to ‘save the look’, meaning garments could later be reviewed and purchased. The company recorded 17.9% higher sales over the festive period, with eCommerce actually performing 35% better year-on-year, so it would seem consumers were suitably impressed with the ‘shoppable’ experience. These impressive results have alerted rival brands, so we can expect a lot more ‘shoppable’ content coming our way in the lead up to Christmas 2017. 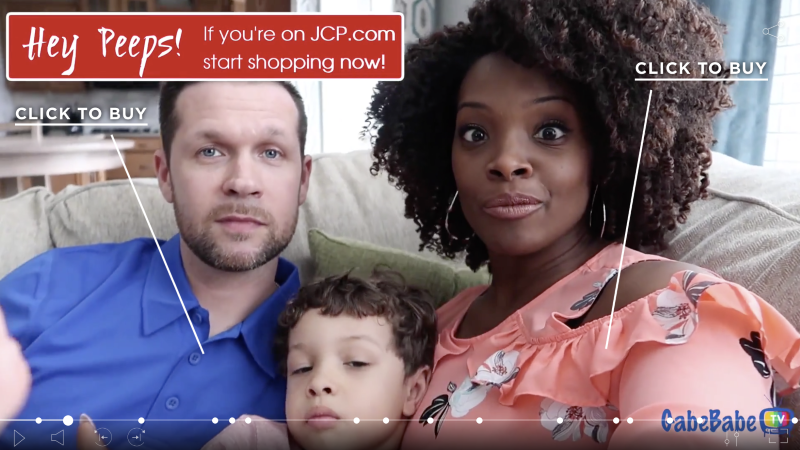 US retailer JCPenney recently enlisted YouTube vloggers Gabe & Babe to participate in a ‘shoppable’ influencer marketing campaign, sending the happy couple numerous gifts to help furnish their new home, which viewers could then click on to add to their basket. You can watch the YouTube video below, but the ‘shoppable’ film (with clickable links) is hosted on JCPenney.com. 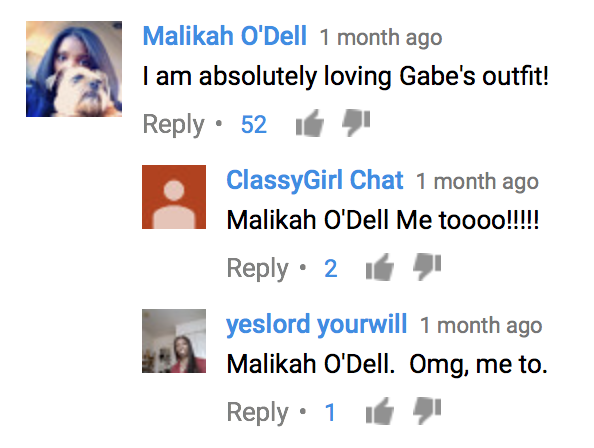 GabeBabeTV has over 250,000 subscribers, and the YouTube video alone surpassed that number of views within one month of launch, suggesting a very engaged audience. The vast majority of the almost 200 comments are also very supportive in tone, with tonnes of people complimenting both the furniture and outfits supplied by JCPenney. No results have yet been released about the impact of the video on sales of the featured products, but with so much praise and attention, one would expect a sharp rise in transactions. Beckon, the marketing analytics specialist, recently published a study examining $16 billion worth of content marketing, with the key conclusion being that 19 out of 20 pieces of content garner little to no engagement. That is to say, it’s incredibly difficult to get noticed and sustain attention, which is why embracing new trends and actively inviting user engagement is quickly becoming essential if you’re serious about standing out. ‘Shoppable’ content captures the imagination because we’re hardwired to track movement, so as the ‘click to buy’ buttons appear, they naturally catch the eye. Additionally, there’s almost certainly an element of the novelty factor at play, as selecting products and adding them to the basket whilst viewing is an altogether new experience, but one that ultimately makes the customer journey quick and easy. Much has been said about the benefits of video on eCommerce landing pages, and it stands to reason that video content vastly improves conversion rates, as it allows you to show rather than simply tell. Take that one step further with interactive links to your shopping cart, and sales will surely rise.